While Schumacher’s accident has had the skiing world talking about off-piste skiing and helmets, two deaths this week have highlighted another risk, tree wells. 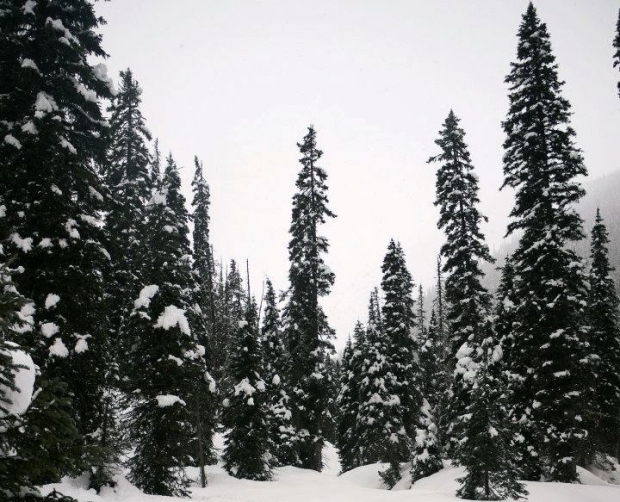 In both incidents, one in Whitefish and one in Whistler, the skier fell into a tree-well while skiing off-piste. A tree-well is a void at the base of a tree where no snow has gathered due to low branches preventing the snow from reaching that area. The void itself is normally just a mix of branches and air, but can quickly fill with snow from above if you fall into it. The site Deep Snow Safety has more information on what a tree well is, how it’s caused and what to do if you’re trapped such as…. Don’t leave to get help – Stay with your partner! Call for additional resources. Use a whistle or yell for assistance. If possible, call ski patrol or the resort’s emergency phone number. Evaluate scene safety for yourself. IMMEDIATELY begin snow immersion rescue efforts. Do not try to pull victim out the way they fell in. Instead, determine where the head is and tunnel in from the side. When tunneling directly for the airway be careful not to knock more snow into the hole. Continue expanding the tunnel to the airway until you can extricate the body. Efficient “strategic shoveling techniques”with multiple rescuers is very useful.